***Gorgeous Executive Home located on Sweeping Corner Lot and Cul-de-sac location! Home features Three car garage and beautiful curb appeal! Title shows 3 bedrooms but home does have a bonus room downstairs which only needs a closet. Owners added two beautiful barn doors to bonus room for more privacy. Light Open floor plan with soaring high ceilings, newer interior paint, dark brown laminate flooring through out most of home. Remodeled kitchen with newer appliances, granite counters and back-splash, walk in pantry, eating area in kitchen in addition to formal dining room. Family room opens up to kitchen and has a very nice fireplace with mantel. Spacious laundry room found on 1st floor and has a sink and comes with lots of cabinets. A very Spacious Master Suite with separate retreat room/bonus room and walk in closet with built-ins. 2nd and 3rd bedrooms upstairs share Jack and Jill bathroom. Landing area upstairs has a nice area for office or sitting area etc. Upgraded interior routers for upstairs and downstairs for faster service. Beautiful backyard with waterfall and separate patio area for you to enjoy!!! No melloroos! 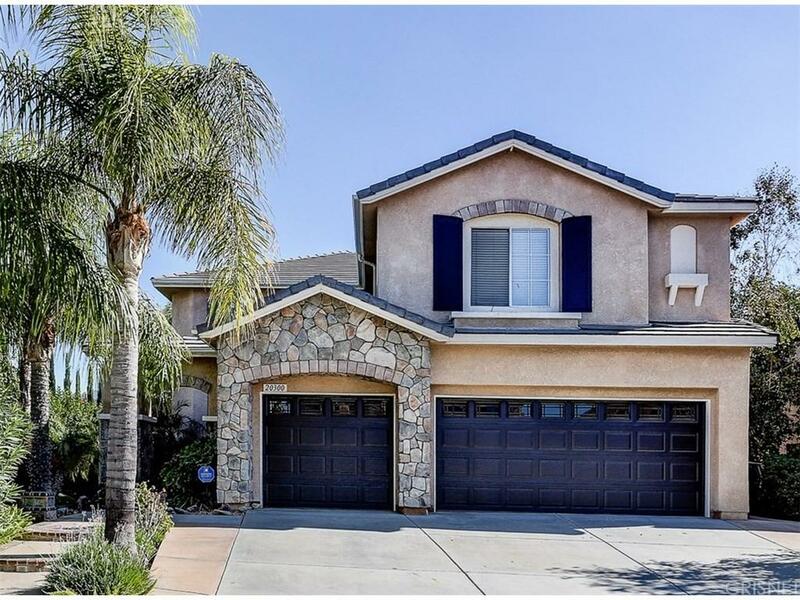 Centrally located near schools and easy freeway access!